Thirteen years ago, Evie’s firefighterhusband was killed in the line of duty, leaving her to raise their young son, Cody, alone. Now, Cody is marrying the love of his life, and as he packs up his belongings, the house feels as empty as Evie’s heart. 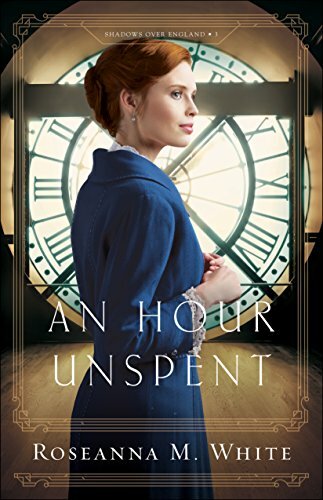 But for all her planning and mad organizational skills, Evie could never have anticipated the dramatic shift her life is about to make. Evie. I don’t usually like heroines, but I liked her. I understood her. 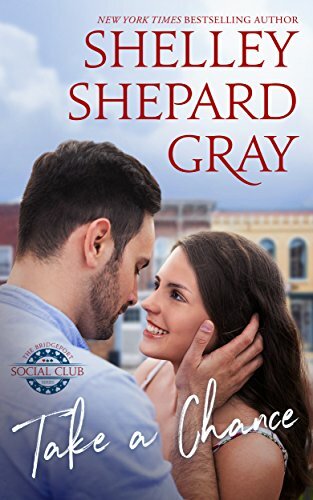 She’s a planner who is learning how to deal with some big surprises…the main one being that her 18 year old is getting married and going to be a father. On the outside she looks like she has everything together but on the inside life doesn’t feel so great. Watching Evie walk through this season in her life was a joy. She’s kind and compassionate, and even though she may not understand, she tries. Jack. I love me a good hero and Jack delivers. He’s a man with a past who is doing his best to live right and lead his family to Jesus. In some ways, he’s kind of all over the place, but you still manage to get that sense that he’s someone you can count on. The author does a lovely job of introducing him and making me root for him right away. The romance. 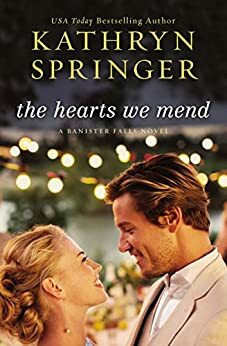 I feel like it’s been so long since I’ve just really enjoyed a Christian contemporary romance novel, but I really liked this one. Evie and Jack are so different and so it’s easy to see why there was hesitation on both sides, but what I loved was that when there was conflict or confusion, they confronted it. They learned who the other was and then worked together. Spiritually, characters pray and learn to rely on God even when things don’t turn out the way that they think they should. Also, there’s a lovely theme on showing what love in action really looks like. I think I pretty much loved this whole book. It was weird that Evie’s kid was 18 and married but Evie thought it was weird too. I can’t think of the last time that I’ve enjoyed a contemporary Christian novel as much as I enjoyed this one. I didn’t want to put it down! History. Tessa Afshar really is able to bring alive cultures and worlds that I’ve read about in the Bible in such a way as to make them real. I think it’s easy to forget that these were real people with real lives and it’s so fascinating to see it come alive on the pages. I always learn so much. Secondary characters. Theo, Justus, Dionysius, the Claudias, the rest of Ariadne’s family…all of them are very unique and present a different look into the times and place in which they lived. Not to mention the hero in this story. Afshar writes great heroes! Though this book isn’t necessarily romance focused, it has a very sweet romance that envelopes slowly on the pages. Spiritually, I thought the way the author incorporated a faith in Jesus really worked seamlessly with the narrative. I particularly liked how the book doesn’t just end with salvation…the characters must learn to walk and live it out! For me, it felt like I kept waiting for this book to get started. So much of it in the beginning is the laying out of what’s happened and watching Ariadne grow up. 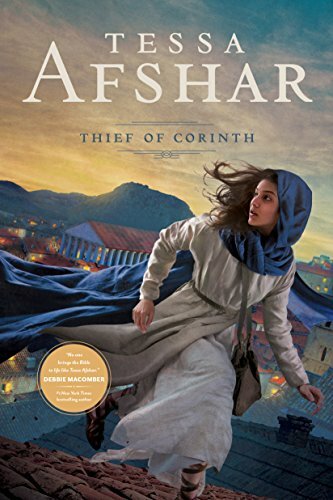 I think because the book is titled the Thief of Corinth, I read the book waiting for specific events to happen and actually didn’t get them until much later. For this reason, it felt very slow in the beginning. Also, strangely enough, I did not connect to Ariadne. I think due to some of the author’s detailed explaining, a distance was created there. Lastly, my favorite character kept getting the short end of the stick in the book. The author tried to put a positive spin on it, but I just wanted him to really win for once. Overall, a good book, though not my favorite from the author.